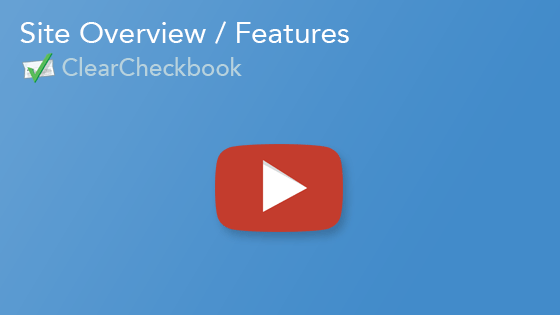 Here are some of the features we offer at ClearCheckbook.com. Click on the feature to view a more detailed description of it. You can also watch the video to see a walkthrough of some of our great tools to help you manage your money.